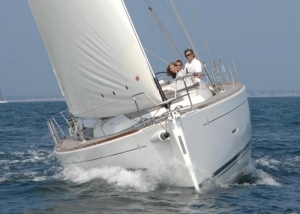 The Dufour 335 is an easy to sail yacht that is licenced for 10 people (9 + skipper) and is available on Sydney Harbour. 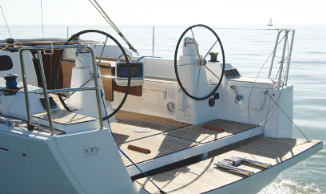 With the twin wheels there is easy access to the swim platform. 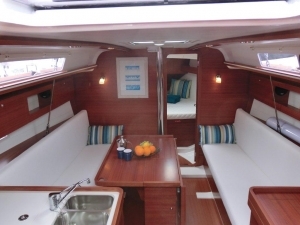 For overnight charters, it can sleep 6 guests in 2 double cabins + 2 single berths in the saloon. Available for a minimum of 4 hours with or without a skipper.